The center of North Sulawesi is the city of Manado. 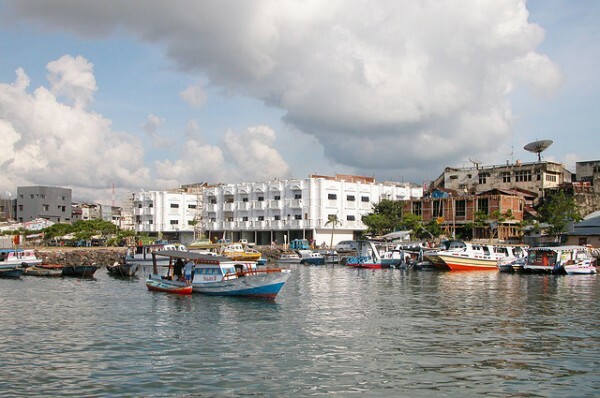 Manado is an attractive and prosperous city. Just like Jakarta, there are a lot of spectacular public sculptures that merit the attention. The culture and the architecture of the town is a special mixture of the Indonesian, Filipino and Chinese elements. 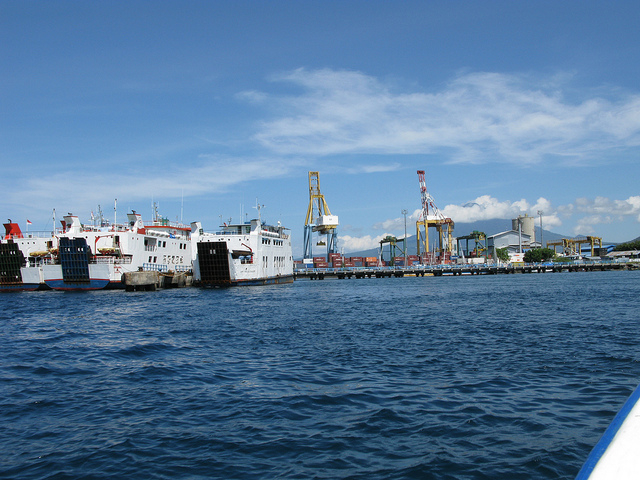 Although Manado has a private dock, deep water maritime center in North Sulawesi is the prt of Bitung at 48 km from Manado. Bitung is a national and international maritime trade point. In the north of Celebes, which is the main island of the province, the Sangir-Talaud islands form a natural bridge between Indonesia and the Philippines. This is making possible the contact of the different peoples and cultures living here. The Dutch influenced the most strongly the culture of North Sulawesi, despite the fact that the first Spanish and Portuguese merchants appeared on the island since the 16th century and brought the Catholic religion with them. The Protestant religion became the most common religion after the Dutch came here. According to the Minahasa historical tradition, Watu Pinabetengan is the place where the ancestors first divided up the land among the people. 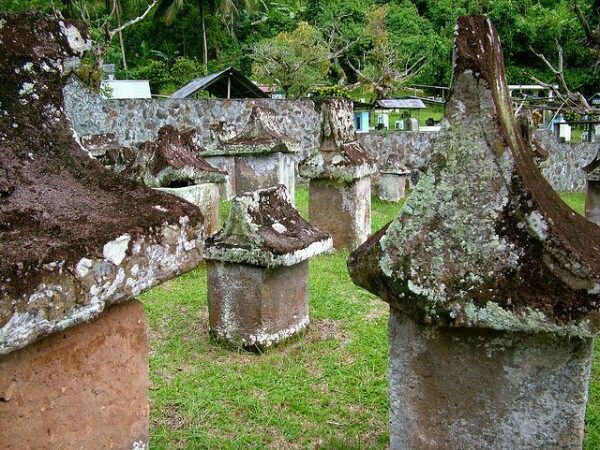 In Tompanso, at 45 km from Manado to the east, is a megalith filled mysterious drawings and written text, the meaning of which has not been decoded. It is an important cultural attraction in North Sulawesi. Bukit Kasih Toar Lumimuut is a beautiful mountain in the Minahasa Prefecture, at 55 km from Manado, near the village of Kanonang. You can get to Bukit Kasih by taking the bust that goes to Kawangkoan at the Karambasan bus station in Manado, then change the bus to a minibus at the terminus. Bukit Kasih is a famous tourist destination in North Sulawesi, the mountain of love, a spiritual center, where the followers of different religious tendencies – Protestants, Catholics, Muslims, Hindus and Buddhists – gather to the meditate and pray outdoors, surrounded by nature. The Waruga cemetery is the resting place of the Minahasa ancestors with 144 stone sarcophagus, the memories of the megalith period. The sarcophags are unique cube-shaped stone carvings with a cavity that are closed by a prism-shaped lid. The decoration of graves is varied with drawings of human figures, plants, animals and traditional geometric patterns, such as clouds, waves and double spinning motifs. The cemetery is located in the village of Sawang at 24 km from Manado. The Japanese monument in North Sulawesi is a symbolic grave of all those who died as soldiers of the imperial army in the region under the Japanese occupation. Bitung played an important role during the Second World War in the Pacific military region as an important base of the Imperial Japanese troops. The memorial was raised by the Japanese and North Sulawesi Government together.